There are two types of Council memberships; Full and Associate/Vendor. 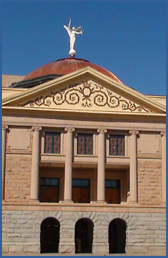 Full membership is designed for human service providers who provide behavioral health, substance abuse, child welfare, and juvenile justice services to children, adults, and families in Arizona. These providers may be non-profit or for-profit organizations. With full membership you receive membership in the National Council of Behavioral Health and are entitled to all benefits of membership and have voting rights with the Council. Associate/Vendor membership is available for those who do not provide direct services, however are committed to the mission and goals of the Council. These members receive “preferred vendor” status on the Council website and access to benefits of membership. Council Membership is renewed annually. Those who apply for new membership after July 1st will have their dues prorated for the year. New members are encouraged to attend a General Membership meeting while deciding they would like to join. For more information, please contact us at 602-252-9363 or info@azcouncil.com .